Posted on July 21, 2018 by Lisa B.
Lynn Carson Harris is our speaker this month—free to members and $10 for nonmembers. Her workshop on small piecing is the next day and we have one spot left. Please don’t forget that our meeting will be Friday instead of Tuesday next week! 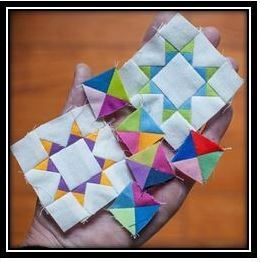 Nancy Powell will be presenting the last set of directions for the BNMQG Mystery Quilt. Come hear all about the Charity Quilt we’ll be making for Quilt Con! In August we will begin membership renewal. Dues will increase from $30 to $35 for the year. Please bring your own drink to bnmqg events. We’re trying to cut down on one-use plastic consumption—thanks for your help!